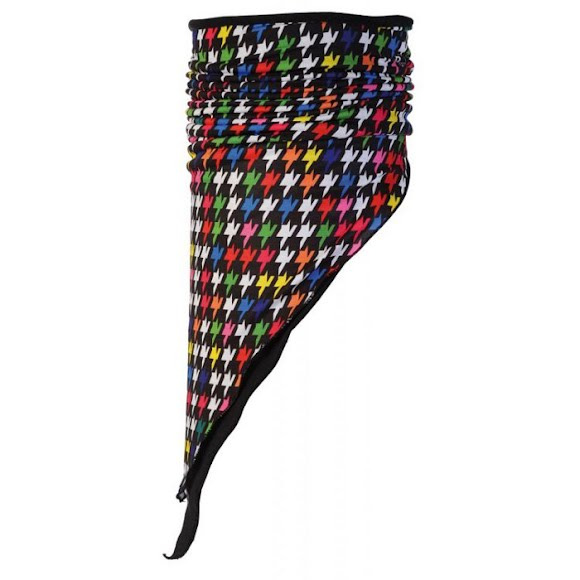 Bandana Buff is the edgy sibling to a traditional bandana with a double layer triangle combining warm protective polar fleece with brightly patterned Buff polyester microfibre for style and attitude. Bandana Buff can be worn around the head or neck, with the triangular front panels tucked snugly into the neck of a jacket or soft shell. Bandana Buff is the edgy sibling to a traditional bandana with a double layer triangle combining warm protective polar fleece with brightly patterned Buff polyester microfibre for style and attitude. Bandana Buff can be worn around the head or neck, with the triangular front panels tucked snugly into the neck of a jacket or soft shell. When the wind kicks in, pull Bandana Buff up over the nose and mouth and the special breath holes make for easier transpiration of moisture vapour from the mouth for improved comfort.